An “agrihood” is coming to South Florida. Think of a romantic vision of the countryside suitable for a novel — a planned community that integrates agriculture into a residential neighborhood, all within driving distance of the bustling downtown of West Palm Beach. The 2,000-home project, called Arden, is under construction with a 5-acre working farm that will grow tropical fruits, vegetables, herbs and flowers. It’s in the town of Loxahatchee, across the street from the Wellington boundary in Palm Beach County. Carolina and Richard Jaramillo and their children, ages 7 and 12, moved to Arden from Southwest Ranches during the first week in June. They wanted to be closer to her husband’s work and to the land. “It’s the perfect fit for us,” she said. “We want [the children] to be able to grow up free, outside, where they can play, go to the farm. The freedom of the outside, the fresh air. 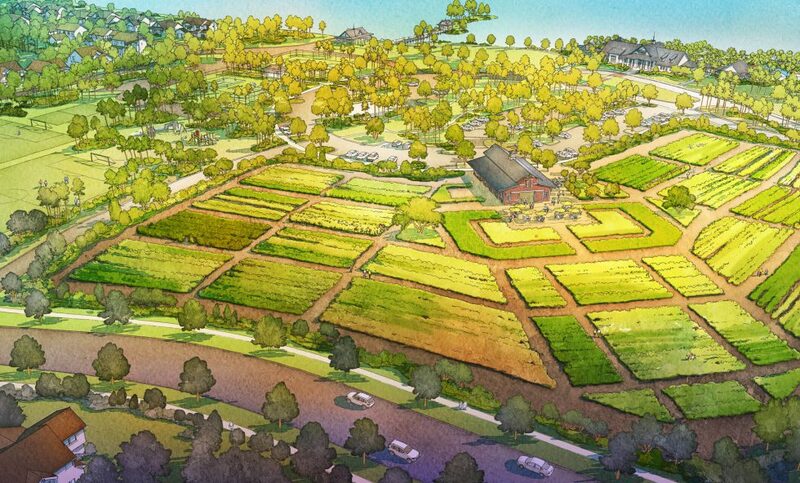 Agrihoods are a growing trend across the country, as developers choose to create rural living. There’s a farm-to-table home community called The Cannery in Davis, Calif., and another, Willowsford, in Ashburn, Va.
Willowsford is 4,000 acres in size — half of that set aside for preservation and a 300-acre working farm.